Various Milby Era Photos (1957-60): Yep, Guys' Photos, Too! OK, not so many, but John did send along some guy photos, too. 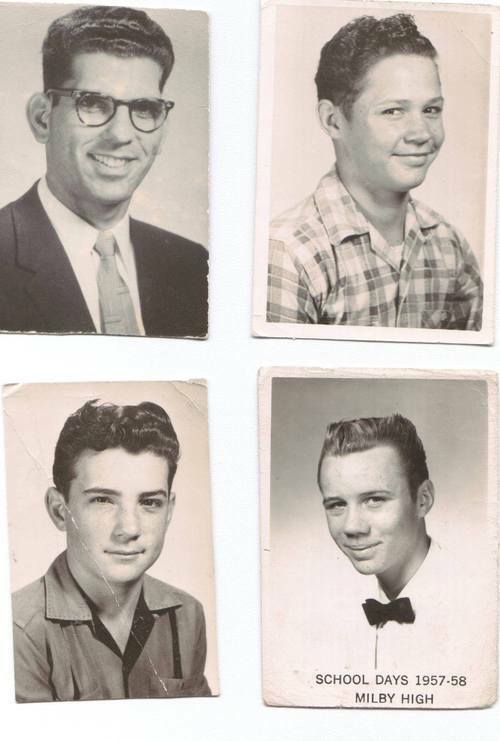 Mr. Tulley (James Elvis), Jerry Mustain, Tommy Randall, and Danny Kirk.